If you know me well, you know how much I love pork. Like actual L.O.V.E kind of love. 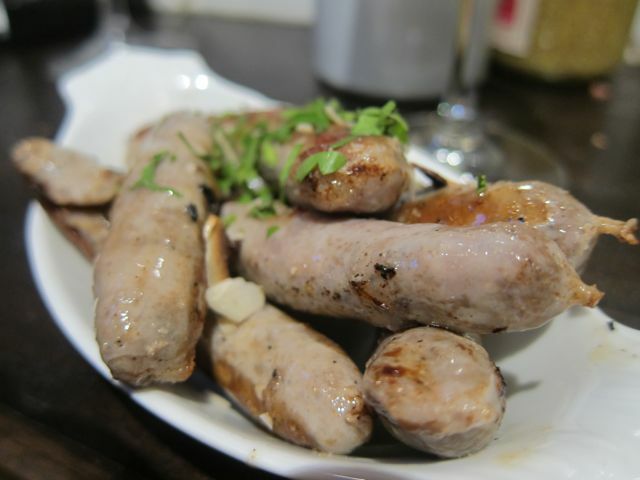 I love all parts of the pork: head, ears, belly, pork loins, pork chops, ribs, pork knuckle…you can make boudin noir, boudin blanc, rillettes, terrines, all kinds of lovely sausages, you name it! How can people not love pork? I think this week alone I’ve had it at least four times…as chorizo, then salami and yesterday at my local favorite spot L’Avant Comptoir. Actually eating pork on my part is an ultimate FAIL on my part as I told myself to be a bit ‘healthier’ and put some fish in my diet. All I can say is hahaha, I’ve had fish once this whole week. Big oops. Every time I went to the market, I bought saucisson instead of salmon. I’ve been to L’Avant Comptoir many times since moving to Paris and you can see previous posts on it on my blog (look at year 2010). It’s one place I recommend to all friends visiting. Yves Camdeborde’s bistro wine bar makes Parisians stand up for good food. A few steps from Odeon metro station, this tiny narrow, standing-room-only space with white walls, an open kitchen which he calls an ‘hors d’oeuvres bar’ serves small-plate Basque inspire nibbles (do not call them tapas here) with limitless boards of superb charcuterie with great selection of wines (Morgon, Côtes du Rhone, and UBY Colombard Ugni Blanc). 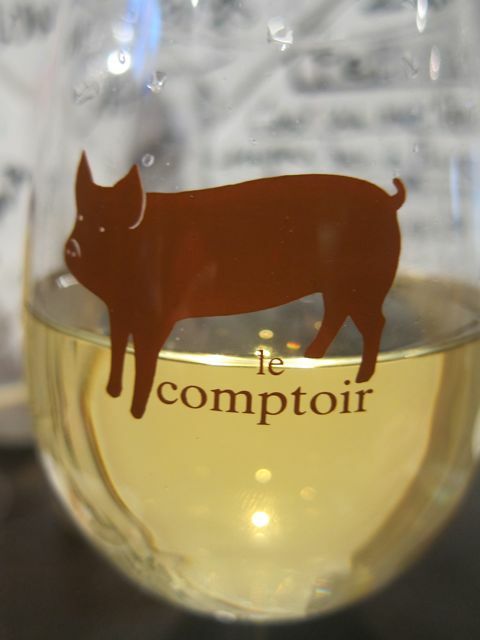 The idea behind L’Avant Comptoir is simple. Camdeborde believes too many Parisians think you can only get good food while sitting down – which is true especially of his always booked restaurant next door, Le Comptoir du Relais. 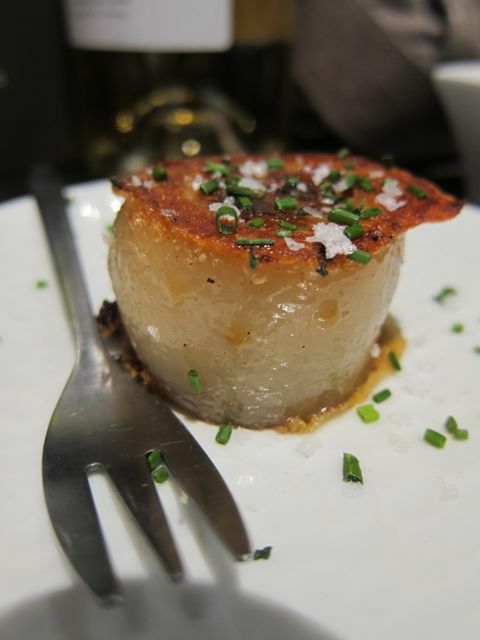 L’Avant Comptoir is a place to have a great time with friends and even fall into conversation with your neighbor. This is why there’s a big communal bread basket on the bar, along with all of the condiments” — piquillo peppers, cornichons and pickled girolles mushrooms — “you need to enjoy the hors d’oeuvres” he says. Since the last time I was there, the menu changed (actually it changes daily). There are however the usuals, the ones that never disappoint like brandade de morue, deep-fried pig’s-foot croquettes, chipolata confit in goose fat, and chicken hearts grilled with garlic and parsley. Here are some great nibbles! 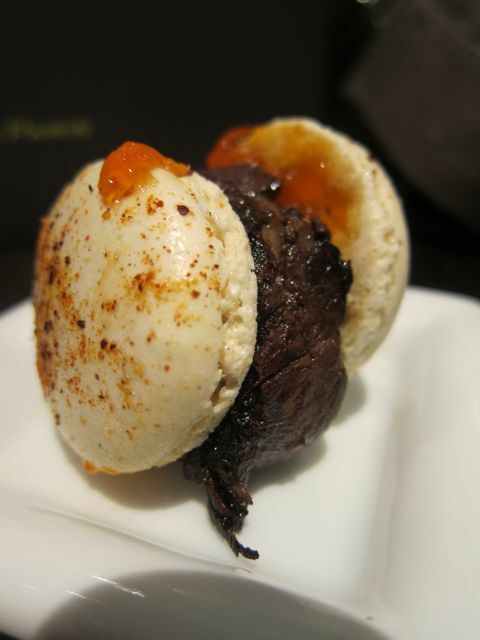 Macaron de Boudin Noir Bearnais – Macaroon of Blood Sausage….3 words: to die for. 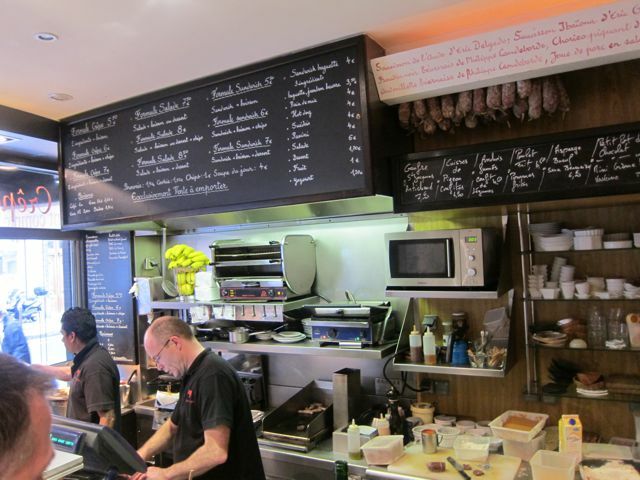 L’Avant Comptoir has one of the most irresistibly piggy charcuterie menus in Paris. I’m not surprised; with suppliers like Eric Ospital, Philippe Camdeborde (brother) and Corsican Pascal Fiori. 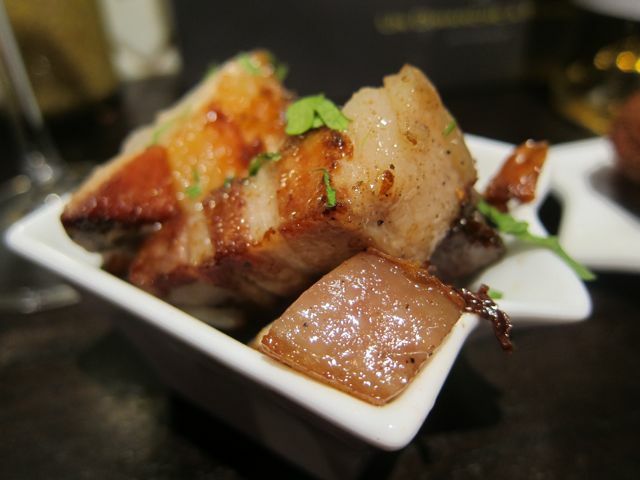 Luckily L’Avant Comptoir is open daily which means I’ll never have to face the agony of caramelized pork belly deprivation. 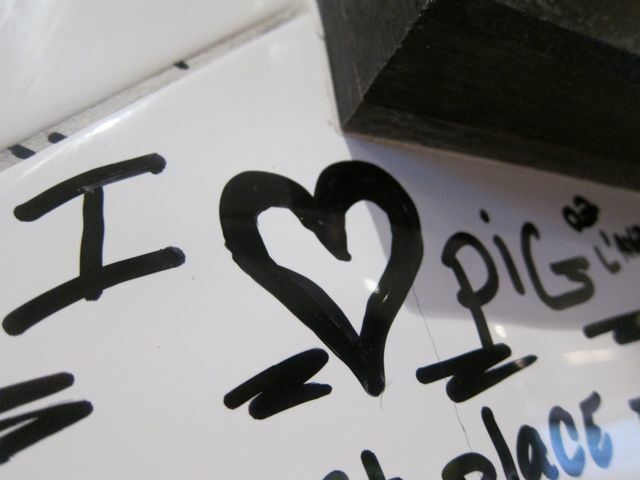 Living in Paris, is living in swine heaven. 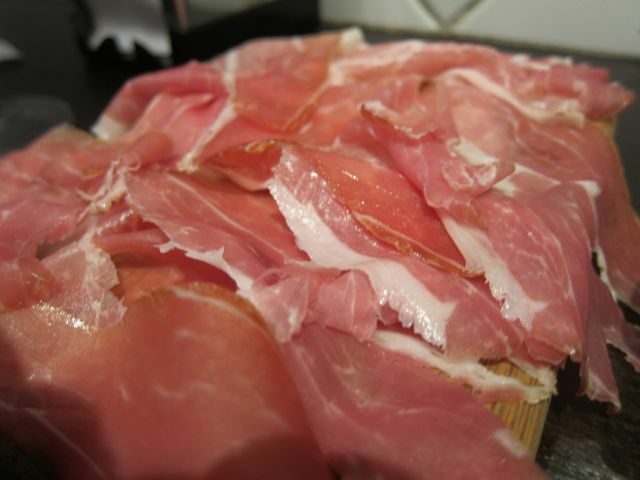 The restaurants use pork because it is so versatile and affordable and can be used for sauces, rubs, marinades. I completely understand that and I bow to them for using pork. It just doesn’t get any better than pork. It was exceptionally sunny and 23 degrees yesterday in Paris, so a light white wine did the trick. 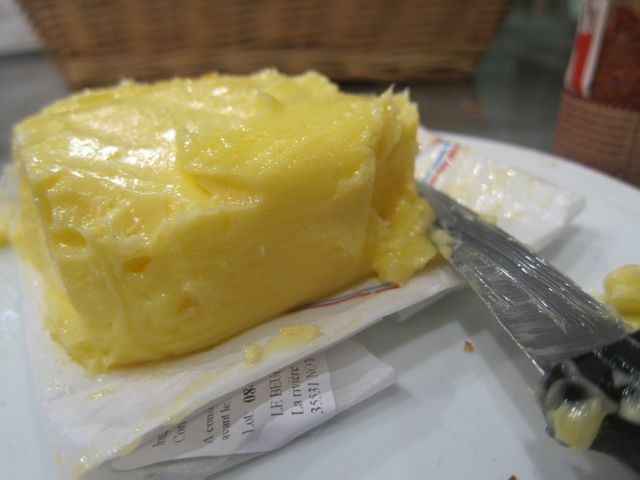 ← Le Ribouldingue: not for the faint of heart, but for those who want to eat it.